concerns the entangled relationship between the rise of capitalism with the origins of racism and the resulting structuring of global inequalities through hierarchies of racial difference. Some of the most exciting work in this regard has been done under the banner of “racial capitalism,” a phrase largely associated with the work of Cedric Robinson. This talk is part of a larger project that explores the history and historiography of racial capitalism through an emphasis on its origins, not in Europe, but in African and the African diaspora. 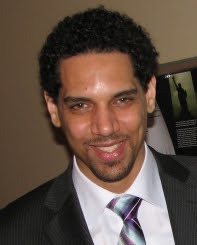 In the larger project, Hudson will argue that racial capitalism has been reordered as a response to Black challenges to white racial hegemony; racial capitalism, Hudson will suggest, has adapted to Black claims for political sovereignty and economic independence – especially those claims made within the registers inter-state relations and international law. This claim will be examined in the context of the revolution in Saint-Domingue that led to the establishment of the Republic of Haiti in 1804. And in particular, there will be an emphasis on the links between the slave economy of Saint-Domingue and the expansion of Philadelphia merchant-capitalism – and the aborted plans of Toussaint Louverture to end the slave trade via a military expedition to Dahomey. University. His research interests are in the history of capitalism, white supremacy, and U.S. Above text and image adapted from email. This entry was posted in Northeast US Events on November 28, 2018 by Teanu Reid.